Basement bays @ R875 and Open Bays @ R575 per bay p.m. 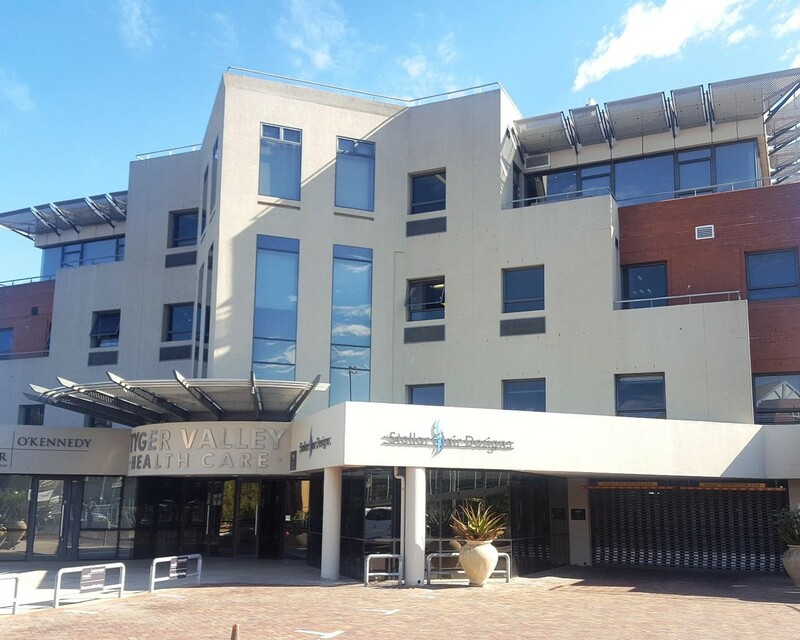 Newly listed, modern and immaculate offices with a good element of curves and light in the design, are available in this sought after building located on the corner of Old Oak & Durban Road. With expansive views over Tyger Valley and Durbanville and an extensive balcony area, these 85.5m2 offices are ideally located within walking distance of Tyger Valley Shopping Centre and have quick access onto the N1 highway at Durban Rd. Initially suited to medical or the cosmetic industry, this building now boasts several national brands and private professionals and has the benefit of both a salon as well as a Clicks within the building. The premises have an inviting lobby on exiting from the lift, and are currently partitioned to accommodate multiple private offices. However, dry walling can be removed to open up the entire area if required. The office space is neat, with modern finishes, newly carpeted and fitted with venetian blinds. With its unique curved design, this office space has several large windows allowing a good flow of light as well as views over Tygervalley. Lovely modern, well fitted male and female ablutions are well located close to the main entrance to these offices in the lobby area on the same floor. There is ample access controlled, secure basement parking and the building is equipped with fibre and a generator.